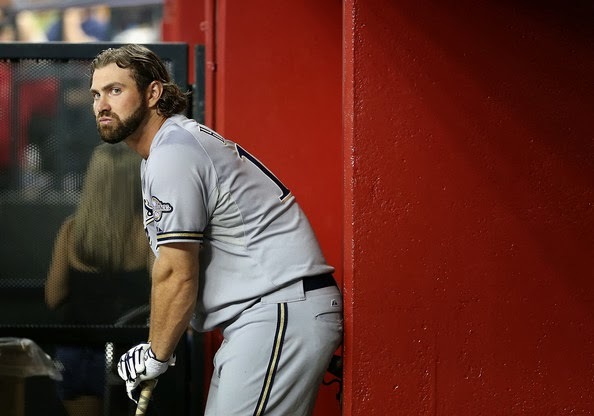 Wisconsin Sports Blog: "Into the Maw of Hell", or "the Brewers' First Base Options"
"Into the Maw of Hell", or "the Brewers' First Base Options"
The Brewers entered the offseason with something of a gaping hole at first base, and after a long off-season, it appears they will enter the 2014 season with something of a gaping hole at first base. There are certainly guys on the roster who can stand at first base (including one whose body is capable of filling a gaping hole), but whether or not they can do so at a replacement level is a whole 'nother ball of bats. Let's size up their options. Juan slowly comes to a frightening conclusion; there is no glove. Francisco was acquired from the Atlanta Braves midway through last season after it became apparent that Alex Gonzalez and Yuniesky Betancourt just weren't ready to compete at a Major League level. Fat Juan had never played first base before and watching him learn a new position on the fly was kind of like watching a three-legged dog try to use a skateboard (so, simultaneously hilarious and sad). Despite his many shortcomings, Francisco remains an intriguing player due to his ludicrous power. 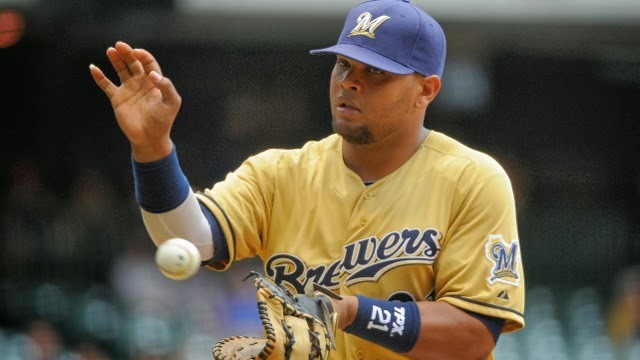 He clocked 13 dingers in just 270 plate appearances as a Brewer while also drastically improving his walk rate. While he isn't currently a good player, the Brewers certainly see something in him and hope they can develop him into something. Reynolds was signed to a minor-league deal last week with a near-guarantee to make the opening-day roster. A seven-year MLB veteran, Reynolds is kind of the right-handed version of Francisco, at least offensively. Hilarious power, draws some walks, can't make much contact. Unlike Francisco, Reynolds can somewhat competently play first base (sort of). Chances are, Reynolds will platoon with Fat Juan at first base, which really makes you question the meaning of life. 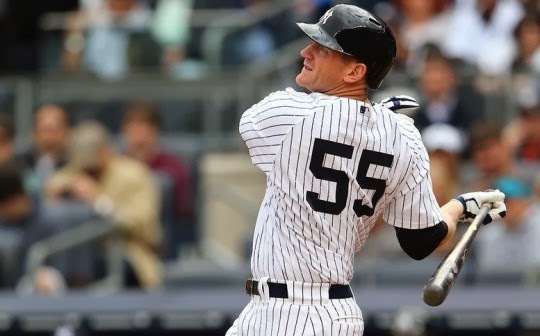 Overbay was signed to a minor-league deal on Monday. Overbay also represents one of my favorite Brewers memories. It was May 10th, 2005, and it was the first Brewers game I ever attended. They were playing the Phillies. Down 2-0 in the bottom of the first, Overbay came to the plate with two on and two out. The entire stadium made an "O" shape with their arms while yelling "OOOOOOOOOOOOO". Then Lyle sent the first pitch he saw from Vincente Padilla to the moon. The Brewers went on to win 8-5. It was the best. It was also nine years ago, and Overbay is not an immortal being incapable of aging. Halton is a former 13th-round pick who came up late last year to serve as a platoon mate for Francisco. Halton had some moments but wasn't very good, which basically encapsulates the Brewers' first base situation overall. Like everyone else listed here, Halton isn't a good fielder and strikes out a lot. There isn't anything in his minor league numbers to suggest anything more than a part-time or bench player, and he hit lefties worse than righties last year (admittedly in a small sample) so it's unclear if he's even an acceptable platoon option. Morris warrants mention as the token prospect of the group. 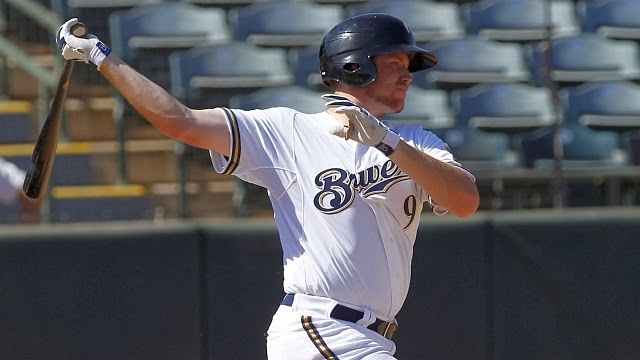 He had a shot at making the 2013 opening day roster after injuries to Corey Hart and Mat Gamel, but floundered in Spring Training and had a poor year in AAA. Morris has tons of power, isn't a good defender (at least not yet), and has trouble consistently making contact. I'm sensing a theme here.